Meet our gentle and happy giant Louis. 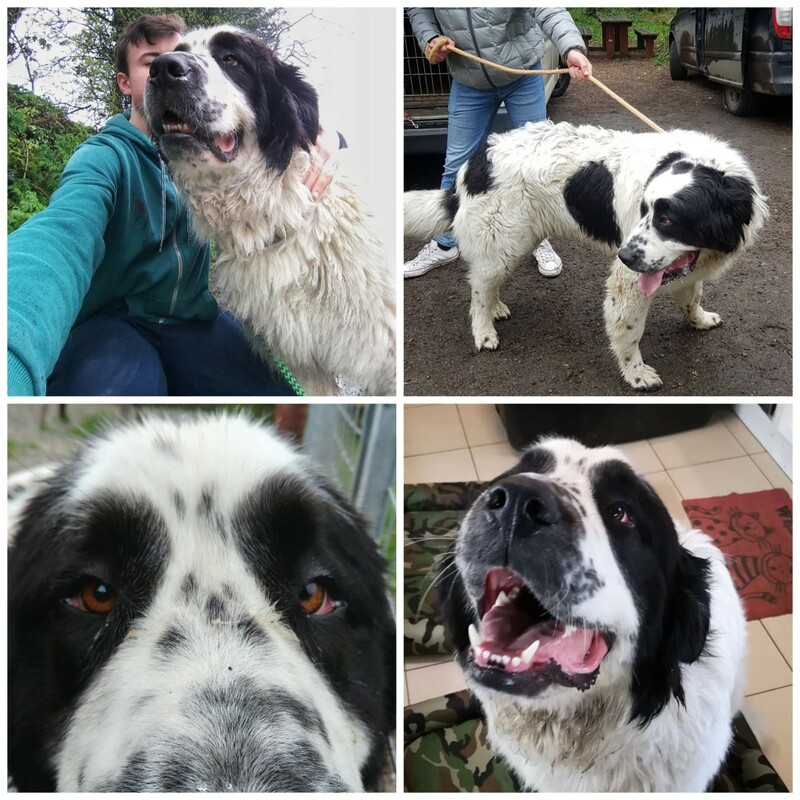 Louis is a 2 years old Landseer (black and white Newfounland) who has recently joined Ash. Louis is a huge and a very happy boy, he probably weights about 60kg. Louis still thinks that he is a puppy and is just a super happy big boy. As per general breed description, the Landseer is a dog with an outstanding temperament; it is good, courageous, generous and intelligent. It is also a patient dog, mild with guests, and obsequious with its master. He is noble, calm, gentle, loyal and trustworthy with a sweet temperament. Dignified and peaceable. Very devoted. Good and brave. Intelligent enough to act on his own when needed. Patient, playful,very sociable. Enjoys the outdoors, but also requires companionship. The Landseer drinks a lot of water and may be messy about it, as he loves to get wet. An adult Landseer eats only about as much as a retriever. They also love to swim ! Training must be conducted in a calm, but firm, confident, consistent and balanced manner. This dog’s huge body tends to move rather slowly. Take this into account during training. Our Louis is looking for an experienced, strong owner. He will need a home with no small children as he is just too big and can be very excited and jumpy. All he wants is cuddles and kisses. Louis will need some obedience training. He did not receive much training as he was just too string for his previous owner. Gorgeous boy Louis is looking for a five star, responsible home who will understand his needs and will love him forever. He is good with other dogs, good on the lead after a few minutes of initial pulling. Meet our golden boy Bru Baruh. Bru Baruh is 8+ boxer who was found straying and ended up in the safety of Ash. Bru Baruh might be grey on his face but is still a happy and very friendly boy. He is brilliant on the lead and loves playing with a ball. Bru Baruh is great with other dogs. He has such a beautiful personality. We are sure he will be a great addition to a loving, happy family. If you think this lovely boy can be a match for you, please get in touch. Bru Baruh would love that He is the best boy and we know it ! Meet our lovely boy Olaf. 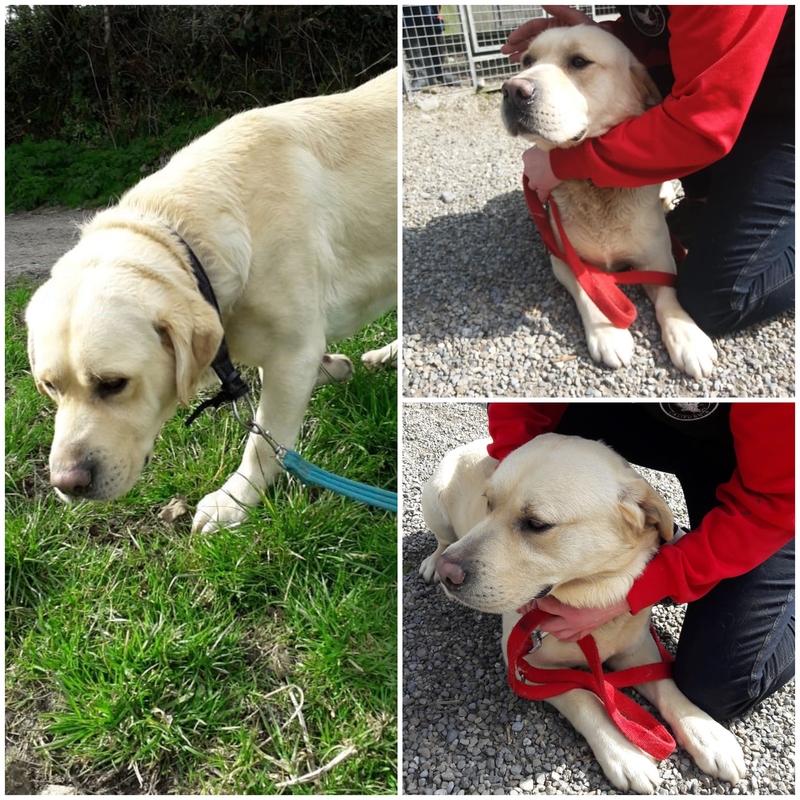 Olaf is a 5 years old Labrador who has been surrendered to us due to change in circumstances. 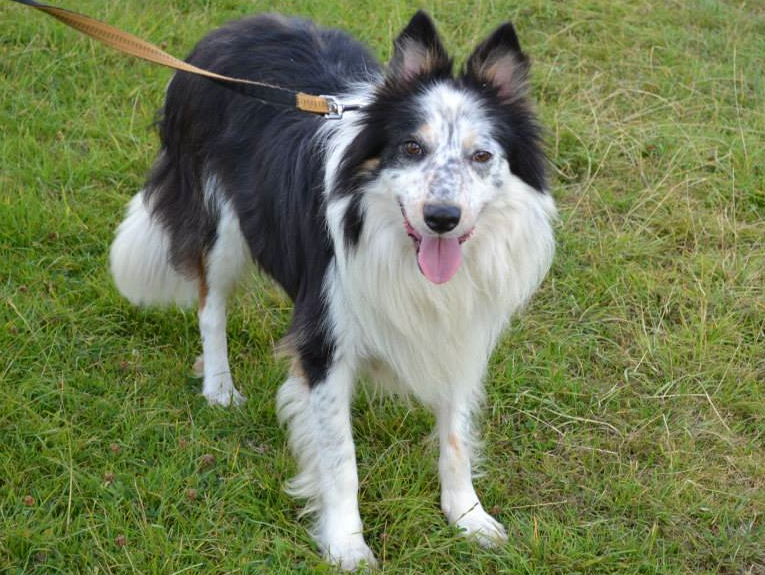 Olaf is a lovely natured dog and will be a lovely companion. He prefers woman than man upon the fist meeting but he gets on great with men he knows. He was afraid of Remi initially but is absolutely lovely with him after two days. Olaf is brilliant on the lead, he doesn’t pull or jump. 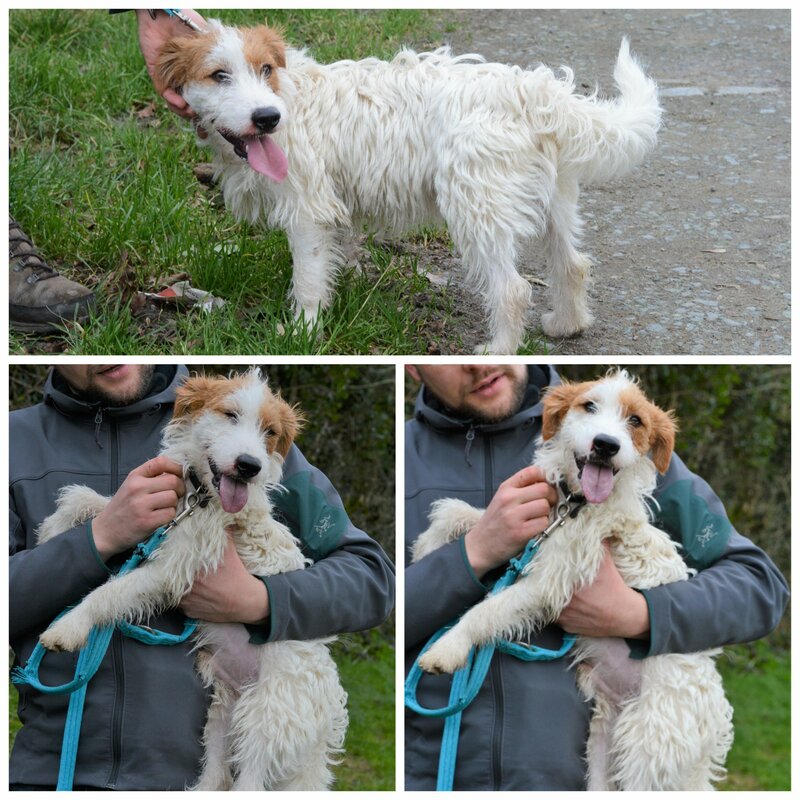 We are looking for a five star home for our Olaf, a home full of love and happiness. Olaf is a big boy so a home with children 9+ would be ok but not smaller. We know he has so much to give and he will make a fabulous family pet. Meet our sweet oldie Jack. 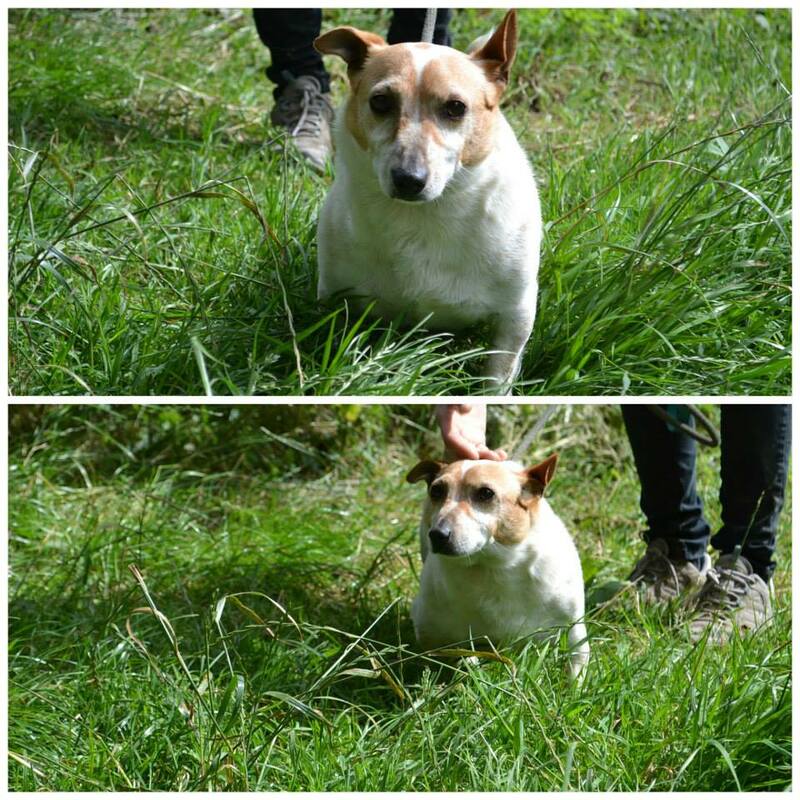 Jack is about 8 years old small, chunky boy and came to us from the emergency rescue. Jack is a sensitive little boy. He keep working on being a brave, little boy and gets on great. He started to go for his walkies recently and we can even see his tail wagging ! Jake is still a bit shy and not used to the outside world yet but he has never known a cross word or any abuse. He is a little lad that will be a real treasure in time, low key, undemanding and kindly. Jack is good with other dogs and is just a real sweetheart. 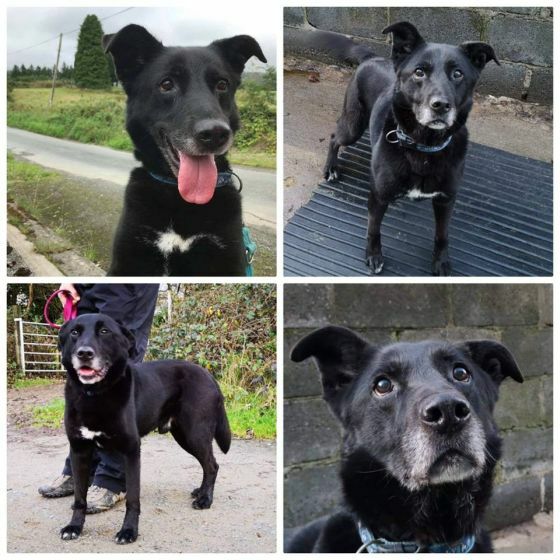 Jack is looking for a five star, caring forever home. Can you offer him just that?? 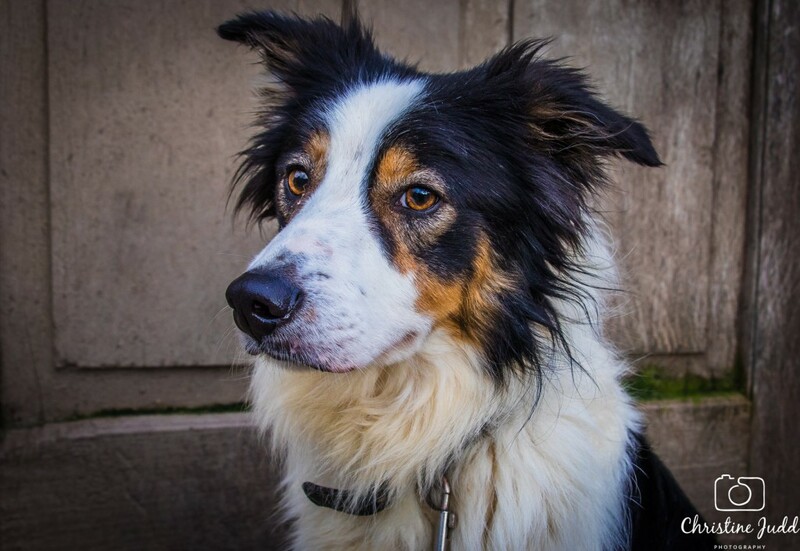 Glen is about 3 years old collie boy who has been found straying and ended up in a safety of Ash. Glen is a happy and gorgeous boy who loves people but is still a bit shy towards them. He has a heart of gold and so much love to give. Glen loves walkies and is happy when he is in a quiet, relaxing surroundings. 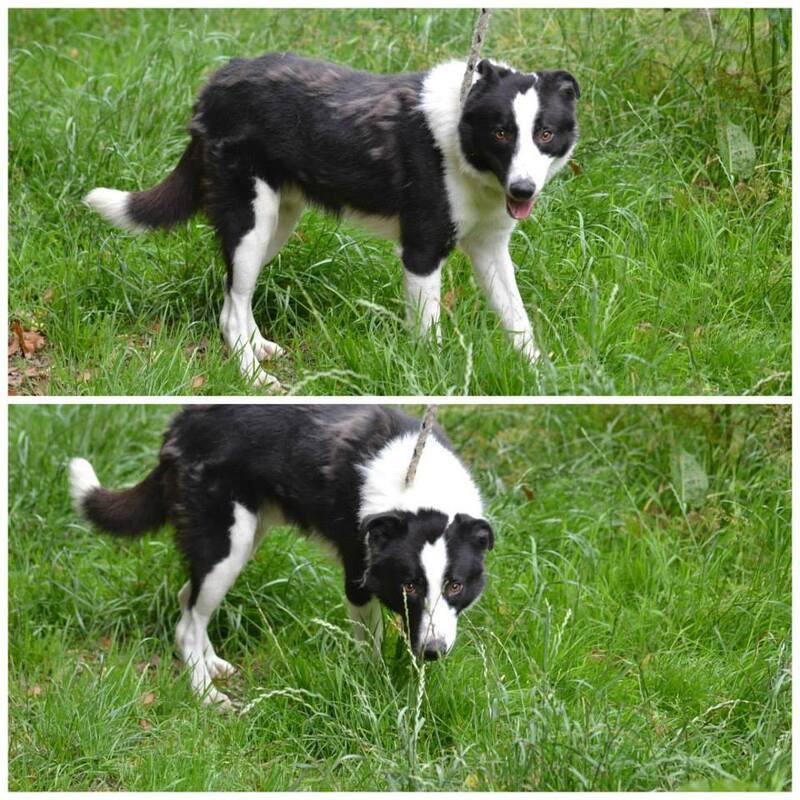 Glen is a shy boy and he is looking for a family who is experienced in having collies. He is super intelligent and so playful, just as every collie. Glen is looking for a home full of love and understanding. Can you offer him just that? He would love that ! 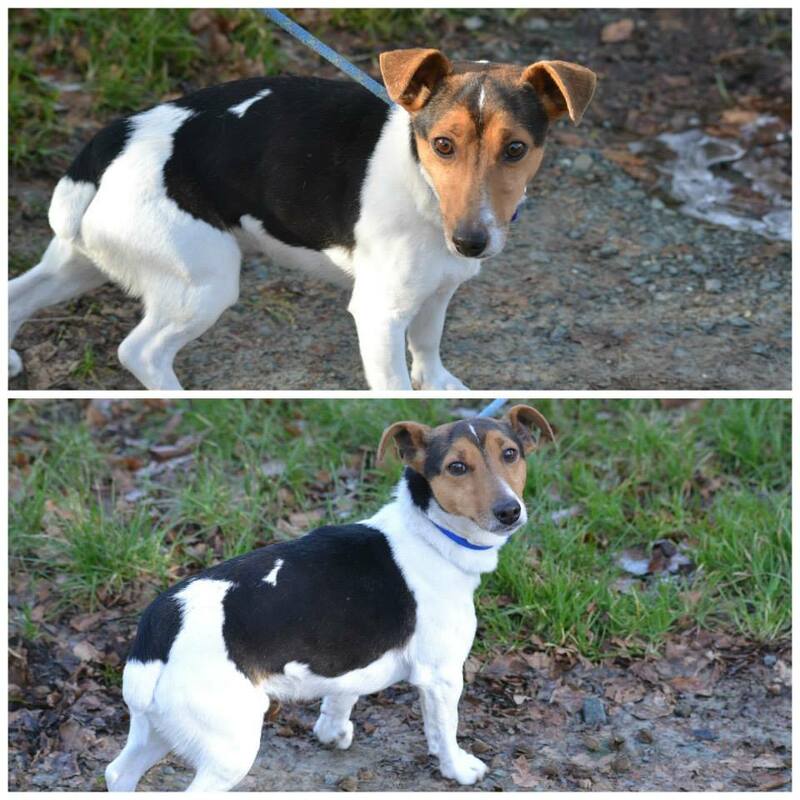 Bruno is 3 years old small Jack russell who has been surrendered to us due to change in circumstances. Bruno is a happy boy and his tail doesn’t stop wagging. He loves walkies and is great in the lead. Bruno is too much interested in cats and is looking for a home without cats. Bruno is toilet trained and very active. We think that he would benefit from an adult only home. He went to a home with children and it was too much for him We are looking for an active home for Bruno, a home full of love and happiness. Friendly, active, outgoing, social. Ivy is seeking a home where somebody is at home all the time. Beneath her enthusiastic image, there lies a fear of being alone. With company, she is perfect, she just hates to be left alone for fear her people may never come back. She was adopted recently but unfortunately returned as the owners were working and being home alone didn’t suit her. suitable for an active home where she would get lots of exercise and mental stimulation to keep her busy brain active. Meet our adorable boy Timmy. Timmy is just over 2 years old small terrier cross with quite a long lovely, long hair. Timmy came to us from the emergency rescue and spent a few months in a foster home. He is now in Ash and is ready to look for a home. Timmy is still a shy boy not used to an outside world. He will need lots of love and understanding. 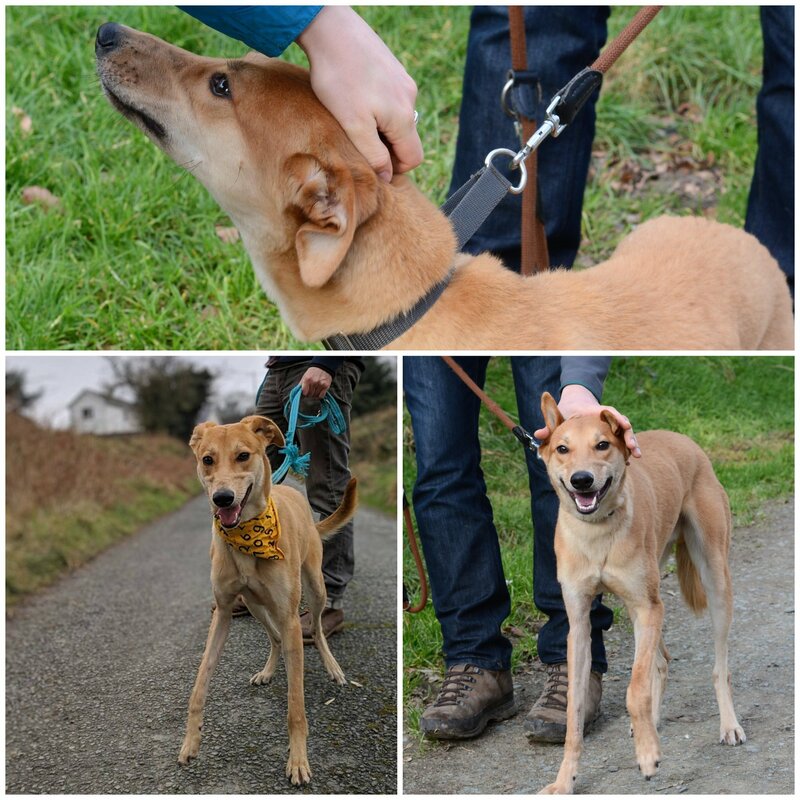 Timmy can walk on the lead and is a gentle and happy little boy. He is good with other dogs. Timmy is looking for his forever home, a home where somebody is there most of the time as he will need a lead and a toilet training. He is a smart boy and it is just a matter of time when he will be perfecting this. 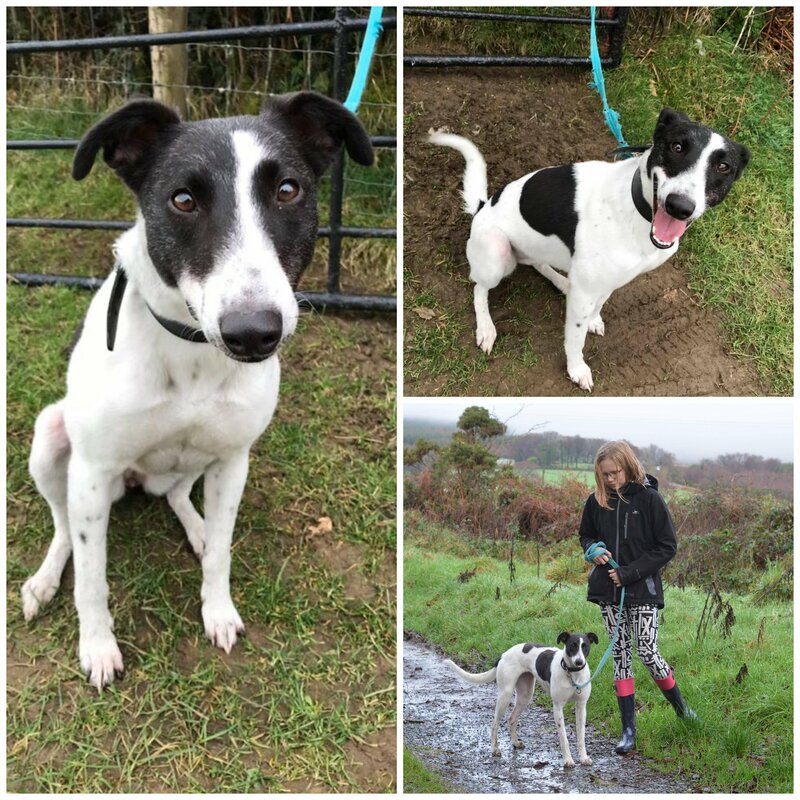 Archibald is about 1 year old wonderful lurcher boy with the softest coat. He came to us after somebody noticed him lying beside the road with a badly broken paw. The paw is now fully healed and Archibald is full of beans and loves life ! Archibald is such a gorgeous dog and he’s now at the point where he wants someone to give him a loving forever home. Archibald is great with other dogs and good on the lead. He will not make friends with cats. He likes them too much. Bell is about 2 years old gorgeous and very happy girl who came to us from the emergency rescue. 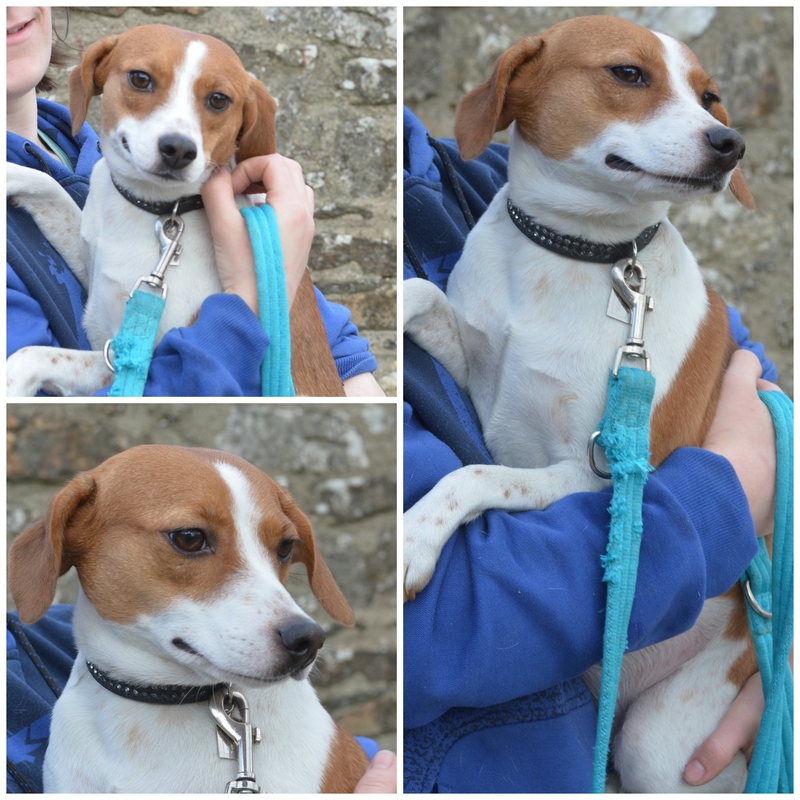 Bell is a beautiful beagle/jack russell cross we think. Bell loves people and what she loves the most is walkies and cuddles. She can sit on your lap forever. She loves playing and her tail is wagging all the time. As all emergency rescue dogs, Bell is still getting used to an outside world but she has made a huge progress. Bell will need somebody who will spend time with her – on her training and to boost her confidence. 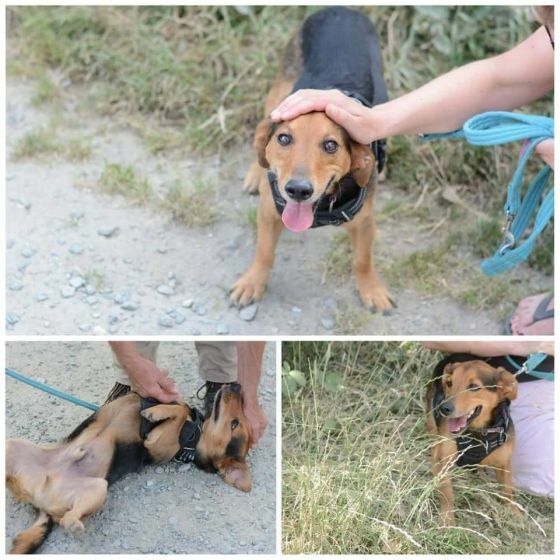 We know that she will shine, it is just a matter of time and the right home who will give all the love to our Bell. Bell loves people and we are looking for a home where somebody is there most of time to make sure it is a good match. She is a smart girl, just needs cuddles, walkies and lots of love. Meet our sweet sunshine Gatsby boy. Gatsby boy is about 1 year old and has been found straying. He went to a home with his sister Daisy Mae recently but there was a bit of a siblings small wars between them and now Gatsby boy is looking for a home on his own. Gatsby is the happiest medium size boy. His fur is so gorgeous and he is the best companion. He loves walkies and playing. He loves people and loves gives kisses. He is good on the lead and loves everyone. His tail never stops wagging. Because he was found straying, we prefer a home with no small children for him to give him the best possible chance to shine. 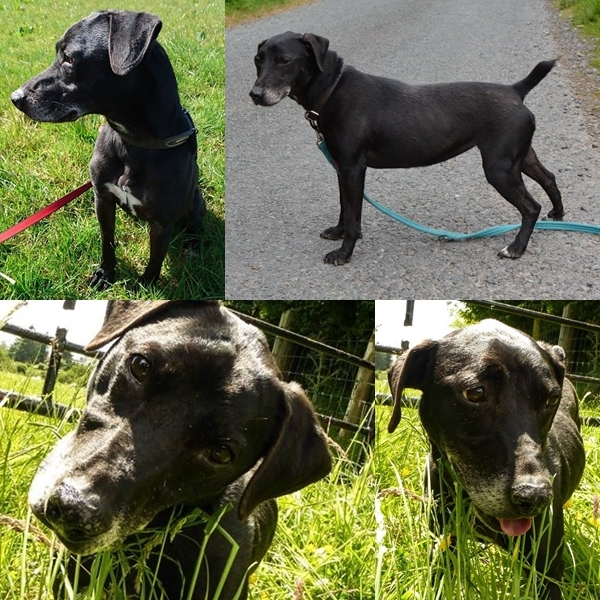 Cas is 9 years old Labrador cross who lost his home due to a housing crisis. He found his safety in Ash. Cas is a gorgeous oldie boy who is in a brilliant form and shape. He loves walkies and cuddles, he loves people’s company and is a happy gentleman. Cas was adopted from Ash a few weeks ago but being in a very busy, loud household was not something which was suitable for him. As every older dog, he needs a relaxed, chilled home where he can just unwind and have a quiet time. He would love to accompany somebody who reads a lot of books or watch a bit of a telly. He would love that relax on a sofa beside such person. A very busy home is not something where Cas feels good. 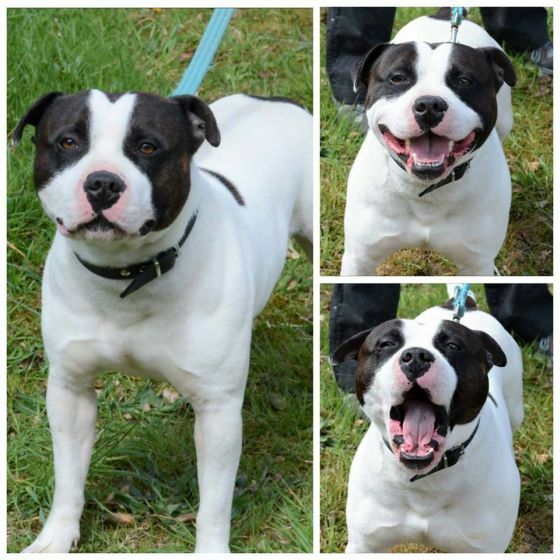 Cas is a friendly man and is generally good with other dogs. However, to give him the best possible chance we would prefer a home where he is the main man. He would love some quality time only for himself and his human companion. Cas can be a little strong on lead but he mellows after a few minutes of walkies. He is a great chap to talk to and be around. He is so loved by so many volunteers and everyone in Ash. Can you offer him just that?? Meet our two sweethearts Freddie and Milo. 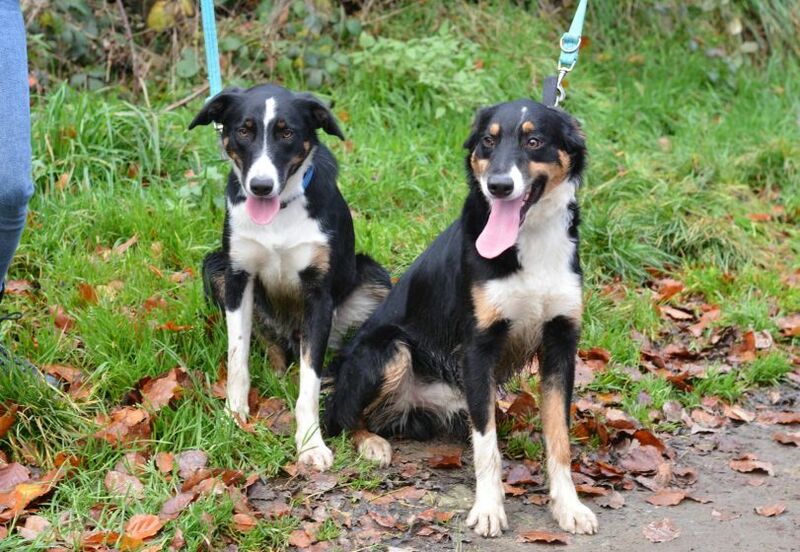 Freddie and Milo are 11 months old collies who have been surrendered to us as their family lost a home. Freddie and Milo are such well behaved and happy boys. They are great on the lead and they are the most friendly characters. Both Freddie and Milo love each other. It is amazing to observe how they go for walkies, they always seek for each other and always make sure to be very close by to each other. As most collies, Freddie and Milo are active and very intelligent. They are all round great boys who will be a great addition to a family. They are both toilet trained. If you think our Freddie and Milo are boys for you, please get in touch. They would love that. Meet our gorgeous Holly the Hollyview. Holly is 5 months old collie/German Shepherd cross girl who has been surrendered to Ash together with her siblings. Some of them have found forever homes but Holly is still waiting for someone who will call him his/her girl . Holly, as every puppy is friendly and curious. She is a bit shy so he would benefit from more quiet home. 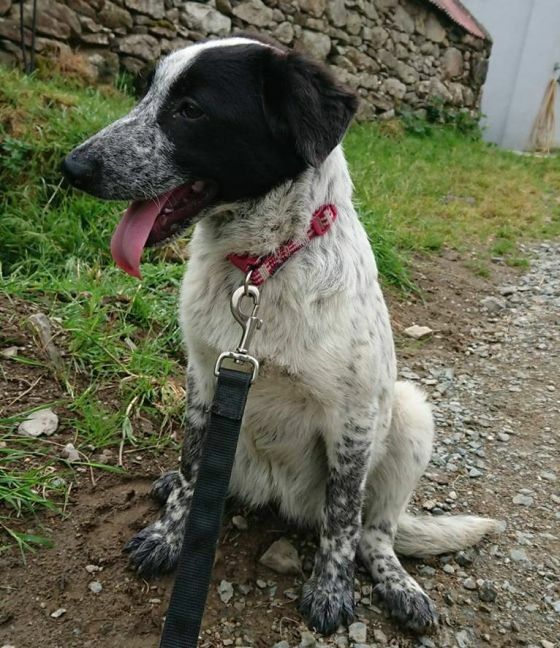 Holly will make a great walking companion after a bit of a patience with lead training. She is very good with other dogs and not much bothered with cats. 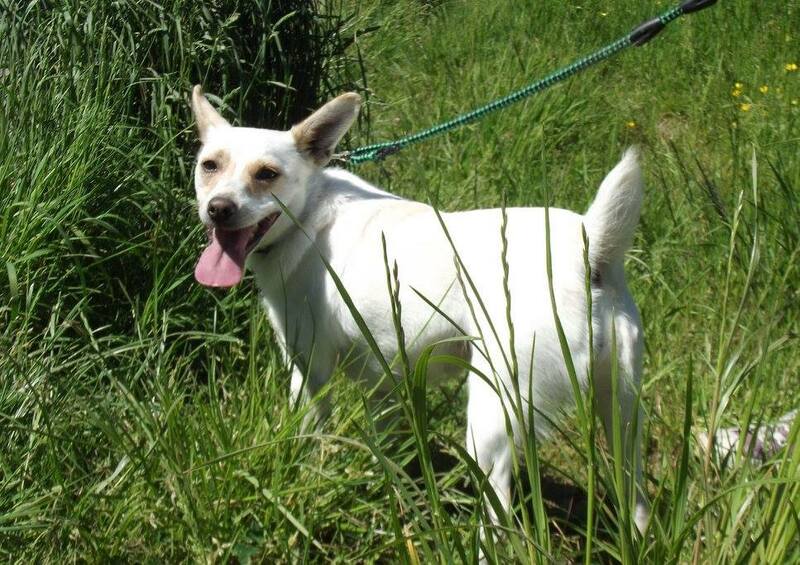 Holly is looking for a home where someone is there most of the time as she still will need her toilet training. We have heard that her siblings have learnt it pretty quick. Holly is a super smart girl and we are sure the same will happen in her case. Malcolm is about 2 years old pitbull terrier who has been found straying and ended up in the safety of Ash. Malcolm is the most sweet boy. He is so affectionate and adores people. He is extremely friendly and whoever meets him, falls in love. He is such a great mannered boy. He loves his sleep and is very chilled. Malcolm is fantastic with other dogs and ignores cats. He is great on the lead but he can be strong at times, especially when he leaves his pen. After a few minutes of walkies he walks perfectly. We are looking for a five star home for our Malcolm. A home which can offer him lots of love and a happy place to relax and chill. We know that Malcolm will make someone very happy. We can guarantee that a person who will come especially for him, will fall in love with this boy from the first sight. Just look at this smile! Meet our sweet girl called Chance. 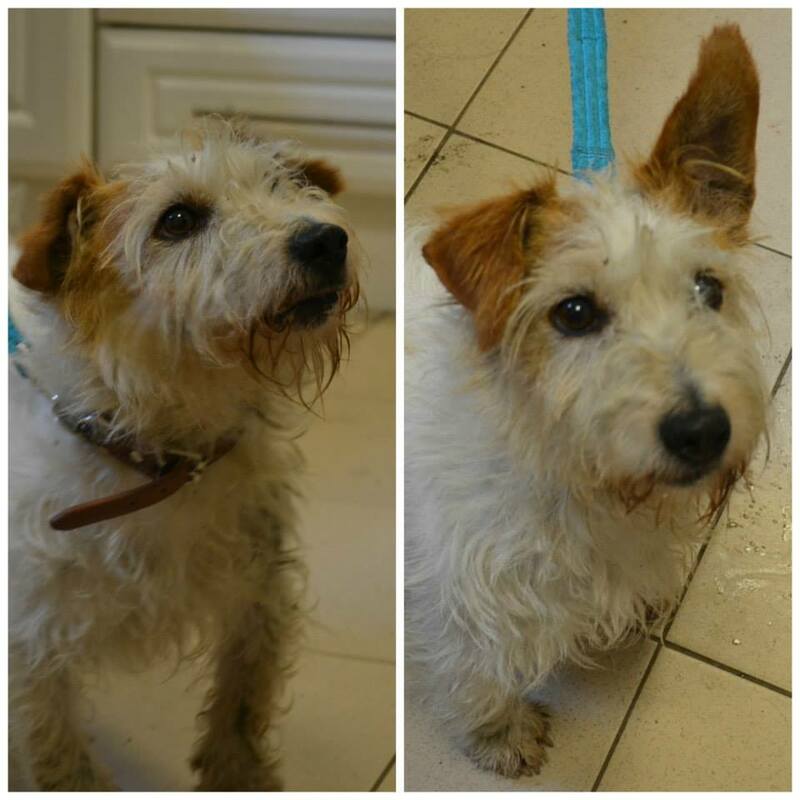 Our beautiful girl is 9 years old wired hair terrier and has been surrendered to us due to change in circumstances. Chance is a beautiful girl who loves people. She is very gentle and amazing with people. Chance loves walkies and is good on the lead. She is good with other dogs and just an all round beautiful lady. Chance is house trained and just ready to find her five star forever home. 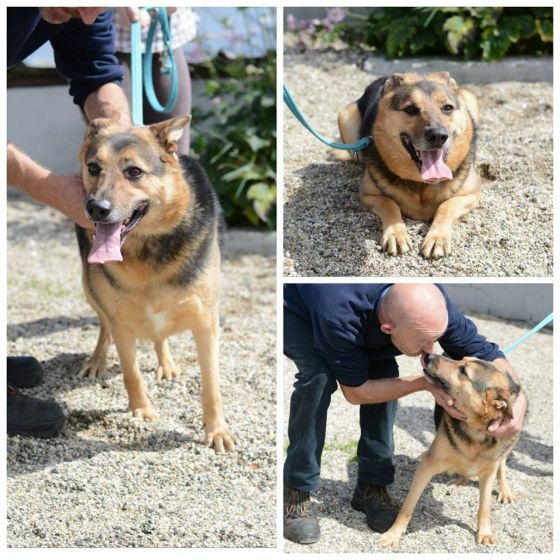 We hope that this gentle and loving girl will find her place with a loving family very soon. Will you give our Chance a chance? 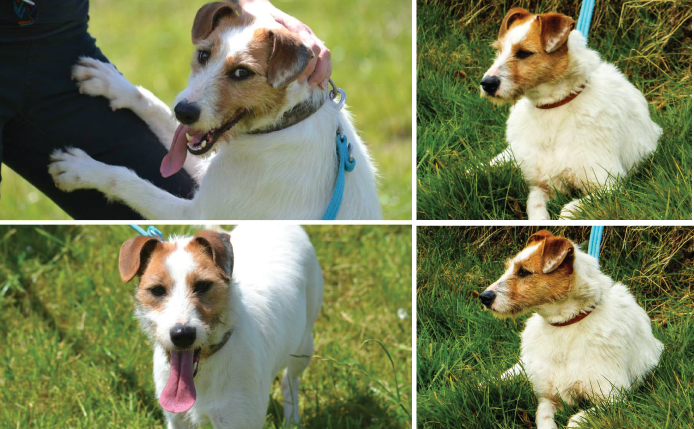 Barney is a gorgeous Jack Russell type shy boy who has been surrendered to us due to change in circumstances. Barney is about 5 years old and he has been through a few adventures in his life. He was adopted to a home with children and with other dogs. That was too much for poor Barney therefore he is back with us. Third time hopefully will be lucky for him. Barney is a sweet boy who is a bit nervous and needs a quiet home. A home having dogs experience will be the best for him. He finds it hard to trust people straight away. But when he I, he became the most adorable boy who loves belly rubs. Barney is not aggressive towards other dogs during walkies. He is a good and happy boy. We know that he will shine in the right home. We are looking for an adult home for Barney. A home where he can relax on his own sofa and don’t have too many distractions. A quiet home full of love. Meet our sweet Teddy Bear. Teddy is 6 years old German Shepherd cross who has been surrendered to us due to change in circumstances. Teddy was adopted from Ash when he was a puppy but was returned to us after 2 years. Teddy Bear is a striking looking boy. He is freindly and happy chap who is spending bet time of his life in a rescue rather than a home. Teddy is a big boy and loves walkies. He is a little nervous but adorable. Teddy takes his time to get to know you so if you are coming to meet him please allow him that little bit of time to relax in your company and you’ll see him shine for sure. Teddy is generally good with other dogs but after spending longer time in rescue we think that a home with no other animals and small children will be the best for Teddy. We want to make sure he gets the best possible chance to shine. A home with German Shepherds experience would be amazing. Please come ask foe our Teddy Bear especially. He’d love that. This sweet boy really deserves a home to call his own..
Meet our gorgeous Homer the Hollyview. How beautiful he is posing next to beautiful flowers in his favorite pink collar. Homer is 5 months old collie/German Shepherd cross who has been surrendered to Ash together with his siblings. Some of them have found forever homes but Homer is still waiting for someone who will call him his/her boy. Homer, as every puppy is friendly and curious. He is a bit shy so he would benefit from more quiet home. Homer, despite the age, is great on the lead and is just great walking companion. He is very good with other dogs and not much bothered with cats. Homer is looking for a home where someone is there most of the time as he still will need his toilet training. We have heard that his siblings have learnt it pretty quick. Homer is a super smart boy and we are sure the same will happen in his case. 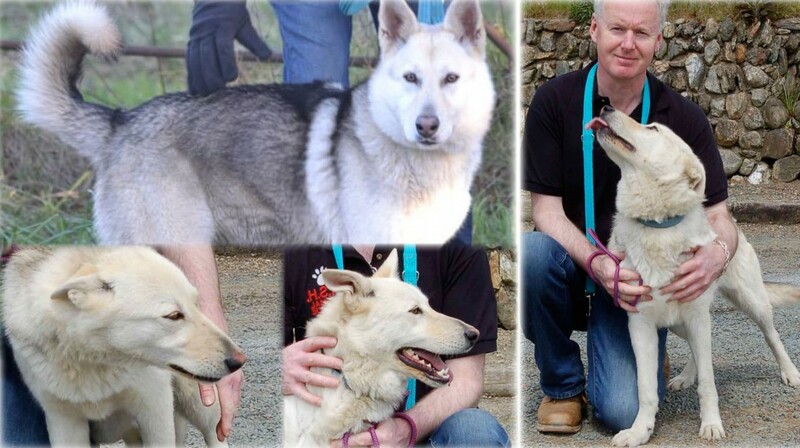 Sadie is a beautiful German Shepherd, husky cross that was found straying and brought to the safety of ASH. She is about two to three years old and she is just a gorgeous lady. She’s good on the lead and adores people. She gets on okay with other dogs but would be best suited to a home as the only dog or with a male dog for company. 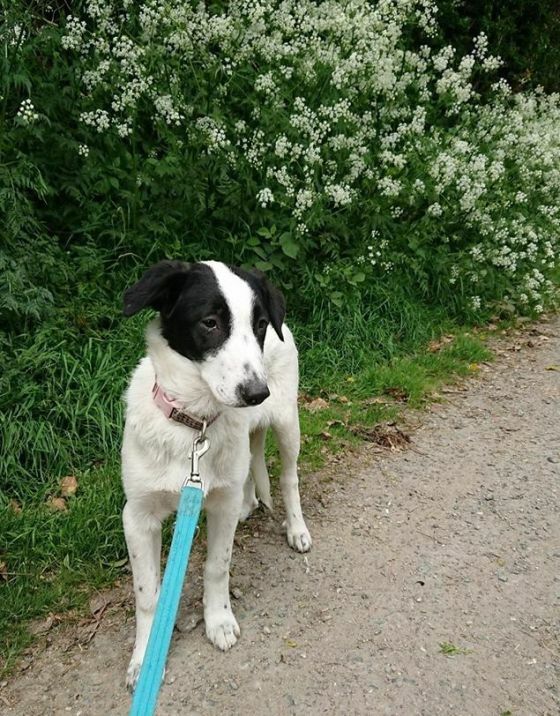 We took her along on our sponsored walk and she walked happily with one of our volunteers and wasn’t at all phased with all the dogs and people around her. Sadie is a big enough girl (we’re sure she wont mind us saying) so she’ll need plenty of exercise and you can be sure she’s got bags of love to give to that special person(s) out there. Please do come and visit her if you think you might be able to offer a loving home. We’d love to introduce you. Here she is having a run/walk with our volunteers and was back smiling for cuddles when asked. Meet our beautiful Frida. 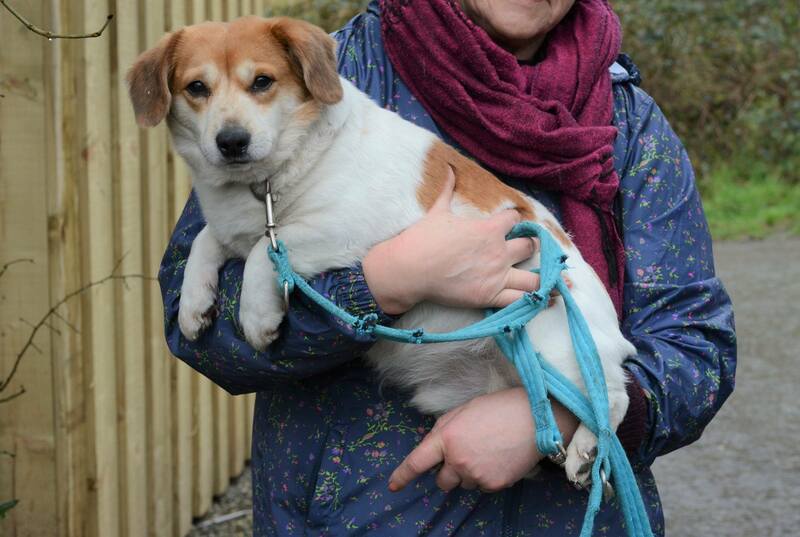 Frida is small 6 years old jack russell terrier cross who has been surrendered to us as her owner emigrated. Frida is a really sweet girl. She is lead trained and house trained. Frida needs to gain a bit of trust before she gives all the love she has. We are looking for calm and relaxed home for our beautiful girl. Ideally with no other animals and no small children. We just know that this will be the best for her. We can promise that Frida will offer you unconditional love once you give her a chance. Please get in touch if you can offer her just that. Twinkle came to ASH after she was found straying. 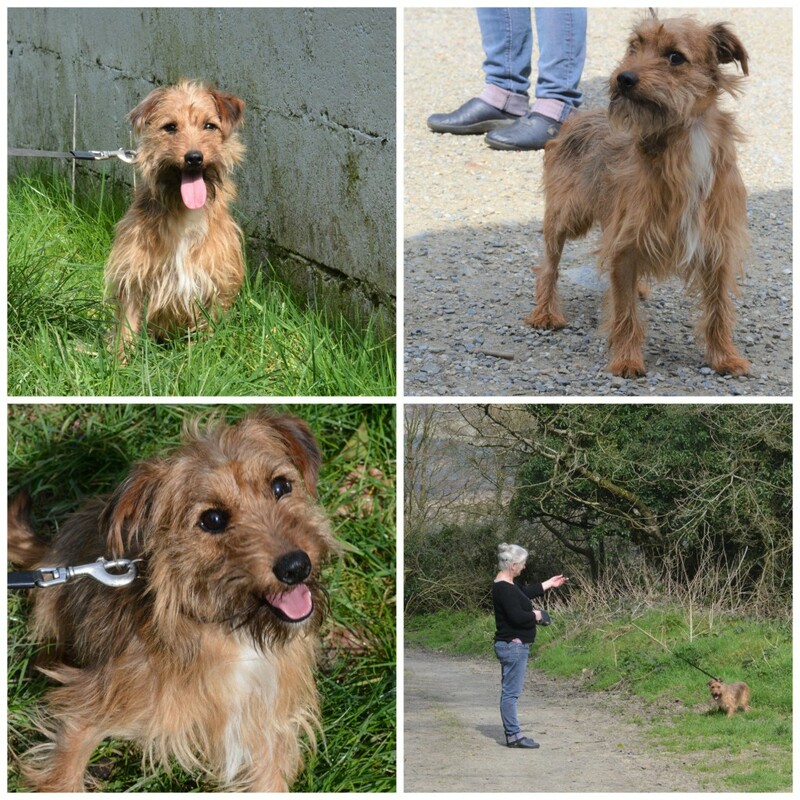 She is a terrier cross and she is around 4 years old. Twinkle loves everyone but she’s not always that great with other animals. Our Twinkle is a little princess and rightly so and she has that princess glow and love – someone somewhere will hopefully give our Twinkle her golden ticket from rescue – or at least that chance to proof herself! All we ask for her is that our girl has a loving home where she is the only pet and where there are no small children. If you think you’d like to meet her we’d be sure to let her know and she would be prepping all night for certain. Please ask for her especially and give her a chance. Meet Ariel – this beautiful lady has struggled to find the right home as she can be a bit cheeky. 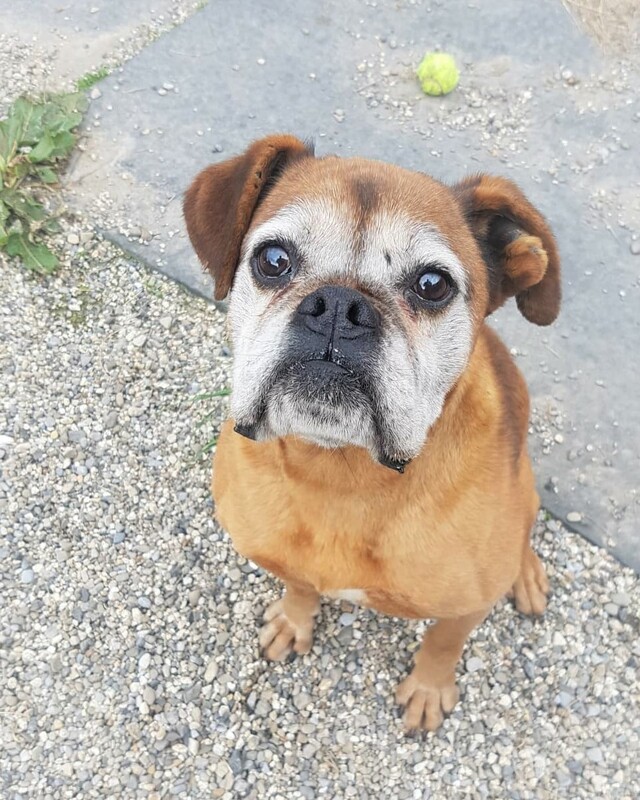 Ariel is looking for an adult only home with an understanding owner who has the time and patience to do training with her. Peter is good on the lead and is happy to get out for a walk. 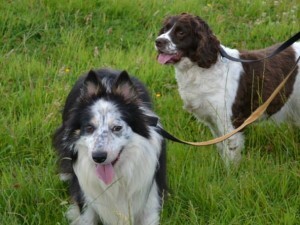 Peter is best pals with Patch Springer (see pic). Peter takes a while to get to know you but once he does he loves getting cuddles. We are hoping for an adult only home for Peter as he can be a little nervous around children. If you can offer this poor boy all the love and attention he needs please get in touch with us. Meet Lola, this gorgeous girl was surrendered to ASH due to a change in circumstances. 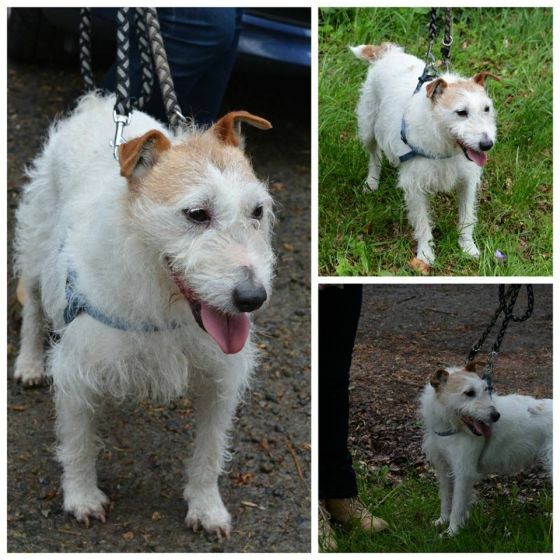 Lola is 5 years old and she’s a medium sized terrier cross. Lola is a total cuddle monster, she just loves people and everyone loves her ! Lola is okay with most dogs and she’s house trained. 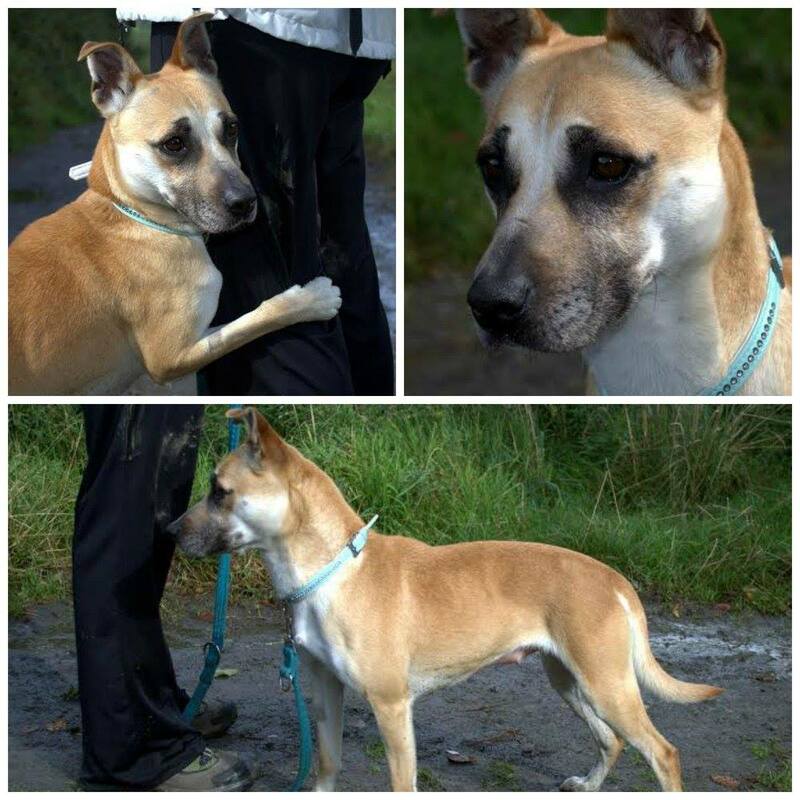 Lola so deserves a five star home why not come meet her and get to know her. Meet Tiny, this gorgeous little man was surrendered to ASH and we’re really hoping someone out there can offer him a loving new home. 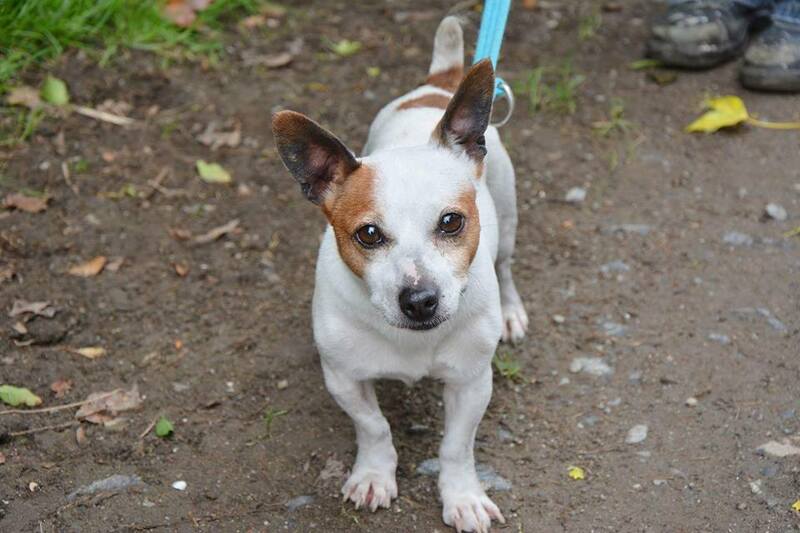 Tiny is a Jack Russell, he is 7 years old and he’s such a sweet boy. Tiny was surrendered because he was being territorial over his garden and after 7 years in his own home he’s a little bewildered to find himself in rescue!! He’s such a quiet boy, he’s good on the lead and not too bothered with other dogs either. Tiny is on the lookout for an adult only home simply because he just likes his own space and children may be too much for him. Tiny is fully house trained and a little character. Please come and meet him for yourself … we’ll let Tiny will do most of the talking then. 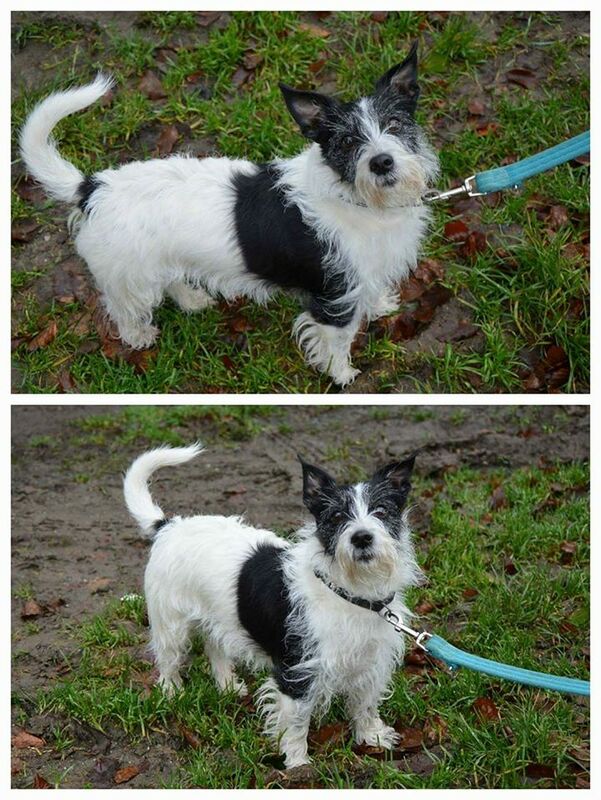 Charlie is a very cute terrier cross who was surrendered to ASH after his owners circumstances changed. Charlie was a little shy when he first arrived but he has come along so well now. Charlie is 7 years old and he’s such a cute little man. He is good on the lead although he does LOVE to jump in muddy puddles. Charlie would be best suited to an adult only home as he gets a little nervous around children. We know if given the chance Charlie could make some lucky person very happy. Come meet him, take him for a walk and get to know him..
Meet Ollie !! Ollie is a gorgeous collie who was brought to ASH after a kind lady rescued him from a not so happy life. Ollie is nearly 4 years old and he had spent the first two years of his life tied on a chain with little or no interaction. Ollie is such a gorgeous dog and he’s now at the point where he wants someone to give him a loving forever home. We would prefer to see him go to an adult only home as children would be a little too much for him to handle. Why not come meet him and get to know him for yourself? 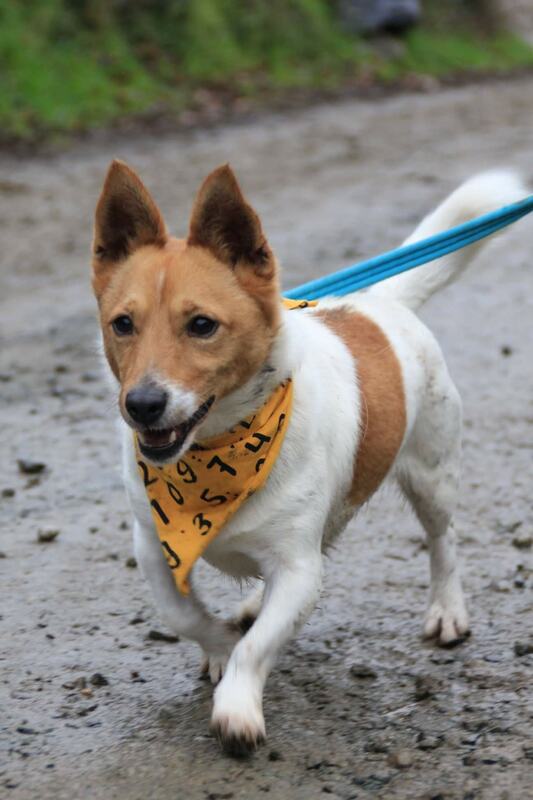 Bingo is a gorgeous Jack Russell that was surrendered to ASH as his owner sadly passed away. Bingo is only 4 years old and he is just a gorgeous boy. He is good on the lead and good with other dogs. Bingo can be a little shy around young children so he would be best suited to an adult home or a home with older children. If you think you can give Bingo a second chance in life why not come meet him – he’d love to meet you for sure! 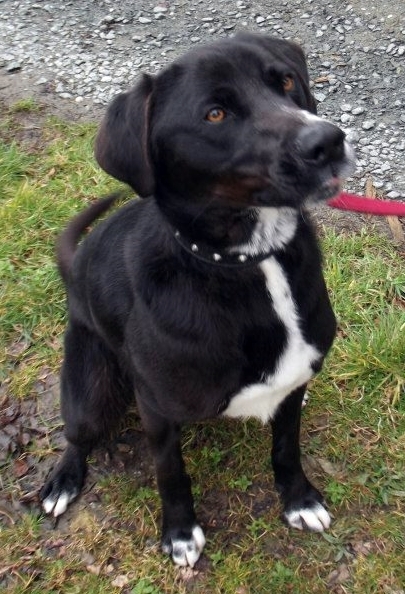 Max is a very handsome Labrador cross. He was surrendered to us as his owners did not have the time to give him the attention he deserves. He is 3-4 years old. Max can be a little strong on the lead so he will need someone with the time to train him properly and is used to strong dogs. If you can offer him a loving home please get in touch. Max can be dominant so an adult only home and an owner that is willing to train him and understand his needs is a must.